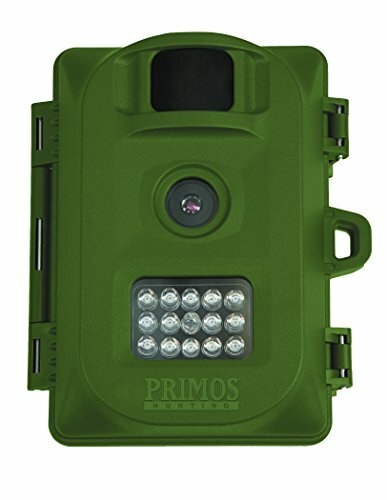 The Primos 63053 6MP proof camera OD is a 6 Megapixel camera with 13 Low-Glow LEDs. Flash out to 30 feet. Simple setup, slide switch settings. Requires 8 AA batteries. Ask any Hunter who makes the best game calls and chances are you’ll hear the name Primos. Primos makes calls for every Category of game species hunted in North America in additional to clothing and accessories. Primos mission is to maintain the hallmark that defines them: quality.